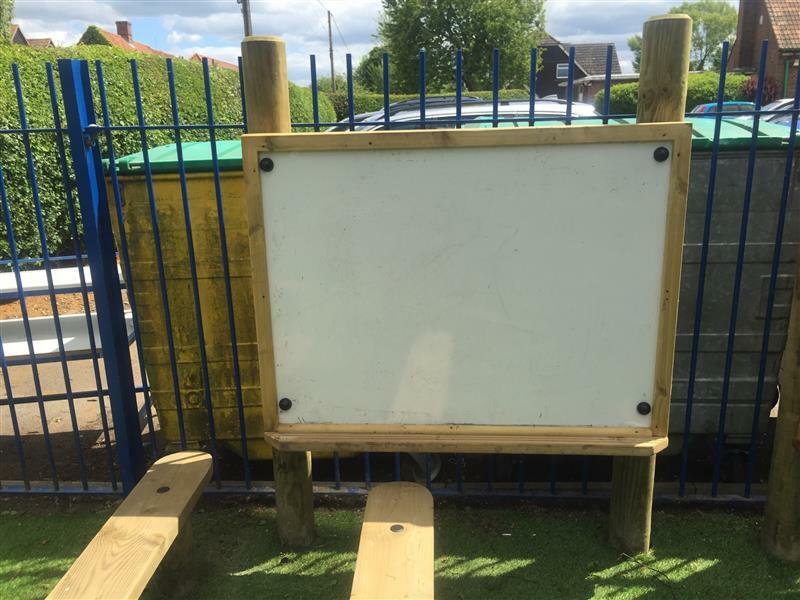 Another brilliant, multi-purpose feature that is a must have for all areas of the educational sector as they strive to create enabling environments. 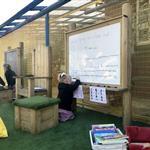 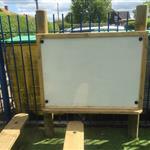 This big whiteboard, complete with a timber edge that serves as a pen rest, does more than simply give your young children somewhere for mark-making. 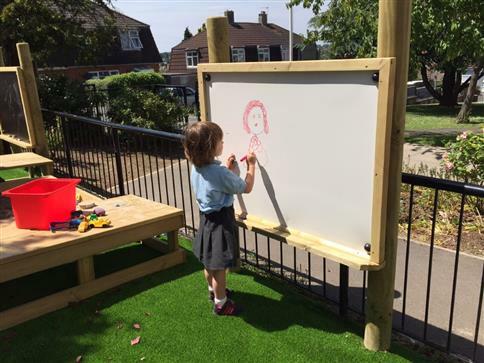 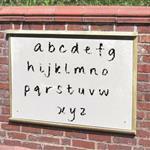 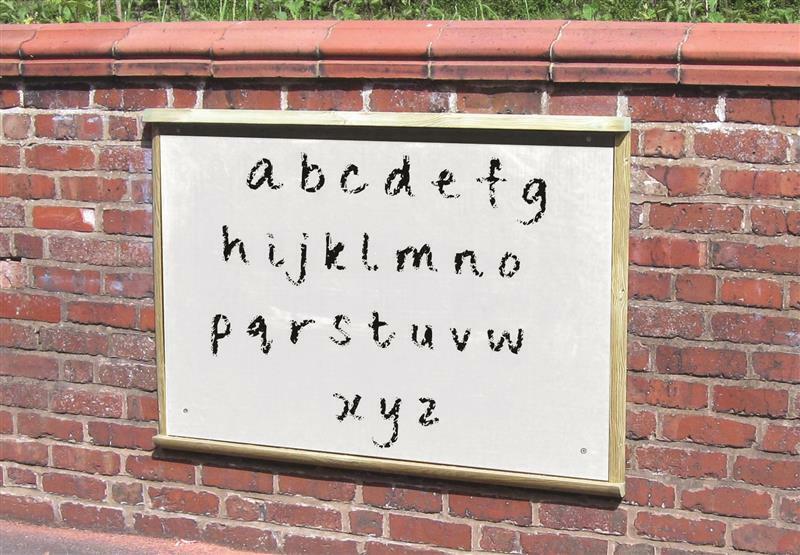 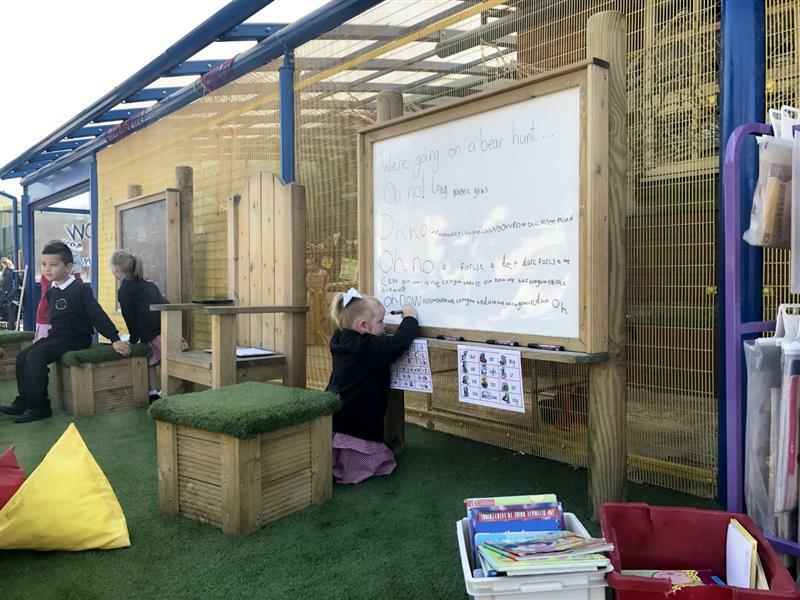 The fact it can be secured to both posts or mounted to a wall, raises the board to a level that is comfortable for children to scribe on when standing; being stood erect allows for full body interaction, leading to more engaged children when taking old-school practices out into the fresh air.